The first challenge of the day was to make a free standing pop up card. This was my first attempt but won't be my last, it's so fun to make! 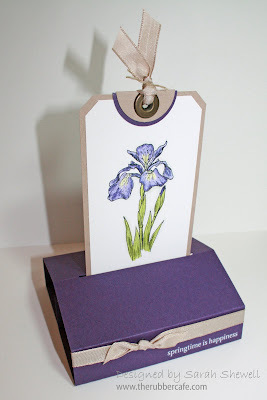 The card is flat for mailing but by pulling the top of the tag you transform it into a free standing display. The way the picture emerges reminds me of flowers coming up for spring so I wanted to use this beautiful iris image as the focal point. I added a "spring is happiness" rub on for my sentiment and the iris clearly shows why spring is such a joy! 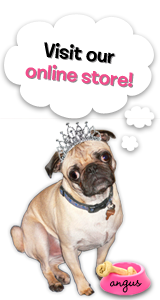 Now break out your Rubber Cafe images and join me for virtual stamp night. I'll be scouting the galleries to see your creations!